The Freedom Riders National Monument is a United States National Monument in Anniston, Alabama established by President Barack Obama in January 2017 to preserve and commemorate the Freedom Riders during the Civil Rights Movement. The monument is administered by the National Park Service. The Freedom Riders National Monument is one of three National Monuments that was designated by presidential proclamation of President Obama on January 12, 2017; the others were the Birmingham Civil Rights National Monument and the Reconstruction Era National Monument. Above: mural and intepretive signage adjacent to the former Greyhound station. Below: view of the bus-burning site in October 2017; the state historical marker is in the foreground, with the field where the burning took place in the middle distance. The Freedom Riders National Monument comprises two locations, one in downtown Anniston itself and the other outside town. The first site designated as part of the national monument is the former Greyhound bus depot at 1031 Gurnee Avenue in Anniston, where, on May 14, 1961, a mob attacked an integrated group of white and black Freedom Riders who demanded an end to racial segregation in interstate busing. The mob slashed the bus's tires, threw rocks, broke the bus's windows, and pursued the bus after it pulled away from the depot. Today the wall of the building adjacent to the former depot features a mural and educational panels describing the incident; a similar mural has been installed adjacent to the former Trailways station where the other Freedom Riders arrived in 1961. The former Greyhound station was later owned by the City of Anniston prior to its donation to the United States government. It is one of nine sites that are part of the Anniston Civil Rights and Heritage Trail, and is commemorated with a historic marker, erected in 2016. The National Park Service, in conjunction with the city of Anniston, has announced plans to develop the building and open it to the public, but as of May 2017 it was closed to visitors. The second site incorporated into the new national monument is that of the bus burning, located outside of Anniston along Old Birmingham Highway/State Route 202 some 6 miles (9.7 km) away from the Greyhound station. It was at this spot that the bus broke down because of its flat tires. The segregationist mob, which had followed it from the bus depot, continued its assault, throwing "a bundle of flaming rags into the bus that exploded seconds later" which set the vehicle ablaze. The mob attacked the passengers as they tried to flee. Freelance photographer Joseph "Little Joe" Postiglione photographed the bus as it burned; the resulting image has become an icon of the civil rights movement. An Alabama Historical Marker, erected in 2007 under the auspices of the Theta Tau Chapter of Omega Psi Phi Fraternity. marks the site of the bus burning. It was announced in 2010 that five acres of land surrounding the site of the bus burning had been donated to Calhoun County for the development of a memorial park; initial plans called for a landscaped walkway, with interpretive plaques to be erected at the site. Possible future features include a statue of Hank Thomas, a survivor of the incident, being given water by nearby resident Janie Forsythe. Since designation of the national monument, the National Park Service, Calhoun County, and the Freedom Riders Memorial Committee have begun working together to develop a plan for interpreting the site; Alabama Power provided money for the effort in 2015. A sign denoting the future presence of the park was erected in 2012. Soon after it was placed at the site it was vandalized, but repairs were quickly made. The site of the burning is today surrounded by private residences. Designation of the national monument followed a visit by Interior Secretary Sally Jewell and National Park Service Director Jonathan Jarvis to the site in October 2016. The designation of the National Monument was hailed by local leaders in Anniston and Calhoun County, who had actively campaigned for the monument's creation. Others who supported its establishment included Senator Richard Shelby; Representative Mike Rogers, who had introduced a bill to designate Freedom Riders National Historical Park in July 2016; and governor Robert J. Bentley. A dedication ceremony took place on May 13, 2017, in downtown Anniston, on the day before the 56th anniversary of the incident; some members of the audience had traveled from as far away as Denmark. Former Freedom Rider Hank Thomas, the last living survivor of the bus-burning incident, delivered a speech. An interim visitors' center, including a station where visitors may procure a National Parks passport stamp, has been established in the reception area of Anniston City Hall. In 2017, the National Park Service sought input from the public on planning and interpreting the National Monument. Federal and local officials began drafting formal plans for its management late in 2017. In March 2018, the Anniston City Council commissioned Jacksonville State University to conduct an economic impact study for the monument. ^ "FACT SHEET: President Obama Designates National Monuments Honoring Civil Rights History". White House Office of the Press Secretary. 12 January 2017. ^ Melanie Eversley, Obama designates 3 civil rights sites as national monuments, USA Today (January 12, 2017). ^ a b c d e f Freedom Riders National Monument Celebration Set for May 13: Interim Visitor Center now open at Anniston City (press release), National Park Service. ^ a b Freedom Riders National Monument, The Conservation Fund (last accessed April 28, 2017). ^ a b "Things to Do – Freedom Riders National Monument (U.S. National Park Service)". www.nps.gov. Retrieved 22 October 2017. ^ "Anniston Freedom Riders Murals – Anniston – Alabama.travel". 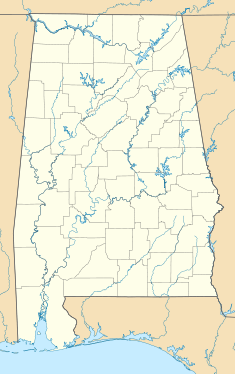 Alabama's Official Travel Guide. Retrieved 22 October 2017. ^ "Frequently Asked Questions - Freedom Riders National Monument (U.S. National Park Service)". www.nps.gov. Retrieved 12 January 2018. ^ "Greyhound Bus Station Protest, May 14, 1961 Historical Marker". Retrieved 12 January 2018. ^ Hayes, Dixon. "Anniston unveils Civil Rights Trail markers to commemorate era". Retrieved 22 October 2017. ^ a b c Super User. "Freedom Riders National Monument Celebration Set for May 13". business.calhounchamber.com. Retrieved 22 October 2017. ^ Joe Postiglione, Burning Bus in Alabama (The LIFE Magazine Collection, 2005). International Center of Photography. ^ "Freedom Riders Historical Marker". Retrieved 12 January 2018. ^ "Historic marker issued to remember Freedom Riders in Anniston". Retrieved 12 January 2018. ^ a b "Freedom Rider Park: From a burning bus to fanning the flames of progress – Alabama NewsCenter". 30 July 2015. Retrieved 22 October 2017. ^ "Freedom Riders Park – Background". www.freedomriderspark.org. Retrieved 22 October 2017. ^ a b Ben Cunningham, The Anniston Greyhound terminal: A building's route through time, Anniston Star (October 24, 2016). ^ "H.R.5882 - 114th Congress (2015-2016): Freedom Riders National Historical Park". Congress.gov. Retrieved 2018-01-12. ^ "Secretary Jewell, National Park Service Director Jarvis Hear Community's Vision and Support for Proposed National Park System Additions in Alabama" (Press release). U.S. Department of the Interior. Retrieved 12 January 2018. ^ Pat Byington, Freedom Riders National Monument Dedicated (photos and video), Bham Now (May 14, 2017). ^ Eddie Burkhalter, Freedom Riders, visitors from around the world celebrate Anniston monument, Anniston Star (May 14, 2017). ^ Erin Edgemon (June 21, 2017). "Reggie Tiller shaping Alabama's 2 new national parks". AL.com. ^ Daniel Gaddy (November 29, 2017). "Officials drafting document to guide Freedom Riders monument". Anniston Star. ^ Daniel Gaddy, Anniston council OKs economic study for Freedom Riders monument, Anniston Star (March 20, 2018).